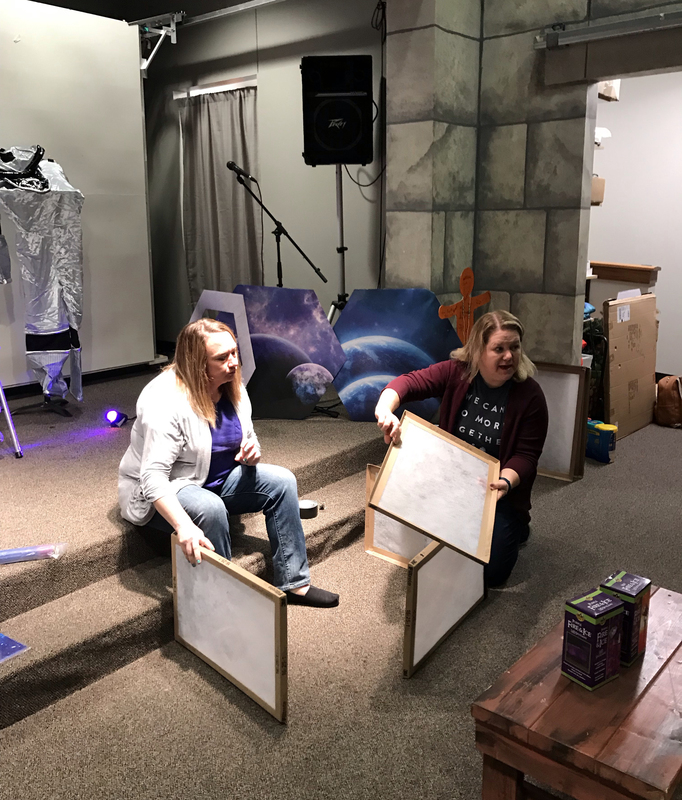 Volunteers at Owasso-First hosted a Vacation Bible School Training Day on March 2. Participants learned to make stage decorations (pictured), create “moon rocks,” and use the rocks for science. Photo submitted by Ellen Wehn. 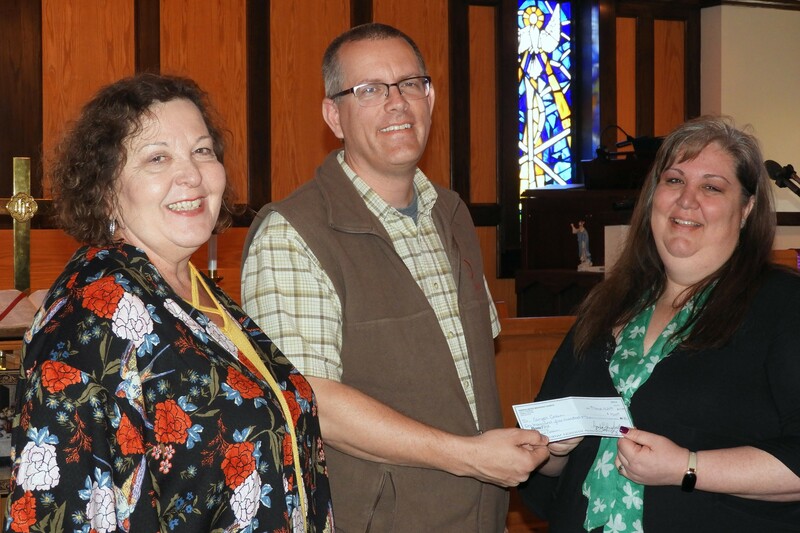 Youth at Harrah UMC challenged their church to raise $1,000 for the new nurse’s cabin at Canyon Camp. They raised $1,500 and presented a check to Canyon Camp Director/Manager David Combs on March 17. Photo by David Archer.